The servant class is shrinking, leaving the great houses and grand traditions to seek work in shops and factories. The new prime minister—“the son of a crofter,” as Mary observes—and the Labour government understand the hardships of the working class. Sexual mores are loosening, or perhaps sexual secrets once concealed by careful conspiracies of etiquette are unearthed more readily in this increasingly unstructured society. 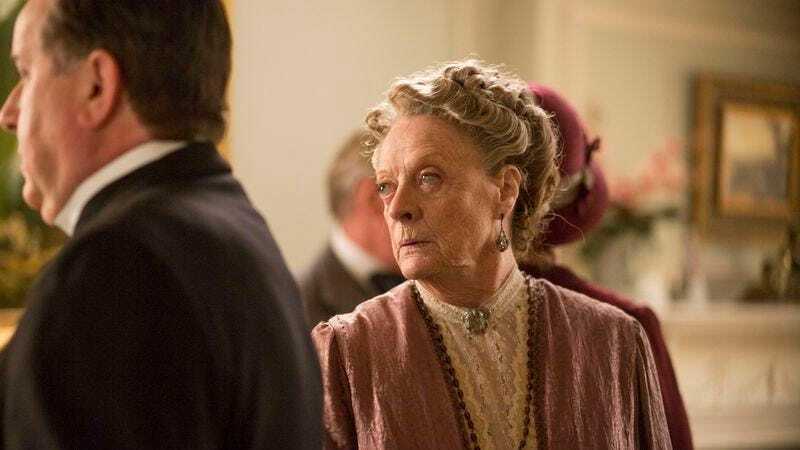 Mired even more firmly in the past than her son, Violet Crawley scoffs at the committee’s choice, even at the idea that they have a choice. “Your father always told the village what they wanted.” But Robert shakes her certainty, too, speculating that Lord Merton’s persistent courtship of cousin Isobel isn’t as absurd as she thinks. “It might be rather fun for her to reinvent herself as the great lady of the county and put us all in our place.” Aghast at the prospect, the Dowager Countess stops amusing herself over Lord Merton’s pursuit and instead starts scheming to divert him, throwing Lady Shackleton into his path and Dr. Clarkson into Isobel’s. But Dr. Clarkson’s ideas of courtship are old-fashioned, and even Violet knows it, though she doesn’t know what should take their place. “No one takes carriage rides in the park anymore,” she chides him, and her lamenting “That’s quite gone” mourns more than a ride in the park or even a youth long vanished. As the world changes, some people find a way to move forward. And some will be left behind. Instead of stewing (as Robert Crawley does) or scheming (as Violet Crawley does), Daisy takes practical steps to better herself for an unknown future, studying arithmetic in her few minutes of leisure. Though she calls herself “a pig-ignorant idiot,” Daisy has a facility for numbers, demonstrated by her ready calculation in her first scene: “Thirty-four years!,” she exclaims over the Crawley’s anniversary. “If I were to marry this year, what would life be like in 1958?” Who among us could tot up the numbers that quickly while tending to kitchen scutwork? The Crawley’s marriage is a felicitous one, but their anniversary is not. The arguments and exposures of the night reflect the social and political turmoil of the episode—and of the times. Lady Anstruther’s shameless chasing after James (portrayed by Anna Chancellor with perfect balance of predation and pert gaiety) shows one facet of the shifting sexual attitudes of the 1920s, and Mary’s matter-of-fact intentions reflect another. 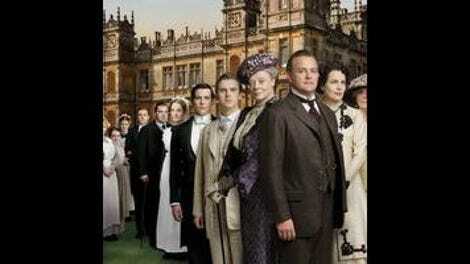 “Marriage is a lottery,” Lord Grantham begins his anniversary toast, but Mary refuses to gamble. “I intend to be as happy with my second husband as I was with my first,” she declares, and she’s considering every aspect of marriage, including those she blushes to mention. Like Daisy, both Mary and Edith take steps to cement the happiness of their futures—but unlike her, they do it under the cover of secrecy. Of her prospective lover’s scandalous plan, Mary says only “No one must find out,” and Edith concurs with Drewe’s proposal that she must “live the truth without telling the truth.” Neither of them fully rejects the values of their parents, or of their social rank. They’re devising stratagems to survive within that outdated way of life—to meet the obligations and retain the advantages of their station without sacrificing their own needs. Carson’s sense of foreboding notwithstanding, this episode isn’t an earthquake or an avalanche. This is a crossroads. Despite the inklings of social and sexual revolution under the roof of Downton Abbey—and right under Robert Crawley’s nose—the immediate effect of the episode’s events is small, just as the fire is. What looks like a conflagration capable of destroying the home and heart of the family turns out to be a lot of smoke and commotion, but not much more. Yet. As Mr. Carson observes, “The nature of life is not permanence, but flux.” I’m pleased and grateful to take over Downton Abbey reviews from Sonia Saraiya. I make the same request Sonia and Meredith Blake have made before me: I’ll discuss the series as if it were airing live for the first time, and if you do otherwise in the comments, please do your fellow readers the favor of adding a spoiler warning to your remarks. It’s hard to believe Cora’s suspicion of Barrow could be overturned so suddenly and completely, even in the rush of gratitude for saving her daughter and her home. Robert Crawley’s repeated rudeness to Miss Bunting genuinely shocked me. However beleaguered he feels by the many small cuts of social change, and however insolent she is to him, it’s no excuse for failing to extend courtesy to a guest at his table. The same is true of Mrs. Wiggin’s request for “milk in first,” a class marker observed by such caustic social critics as Evelyn Waugh and Nancy Mitford. “If you can tear yourself away from your smutty deliberations,” I’ll see you in the comments.